If Paul’s words aren’t clear and simple enough for someone, nothing ever will be! The Bible isn’t in need of any help, or outside influence. It stands alone in authority and truth, and is able to guide the least, or greatest of us to God with full assurance of knowing Him. We originally posted this Mormon Dilemma in 2014 and have found we’re asking the same questions today we did back then. Would Mormon missionaries be willing to give out this info to their investigators? 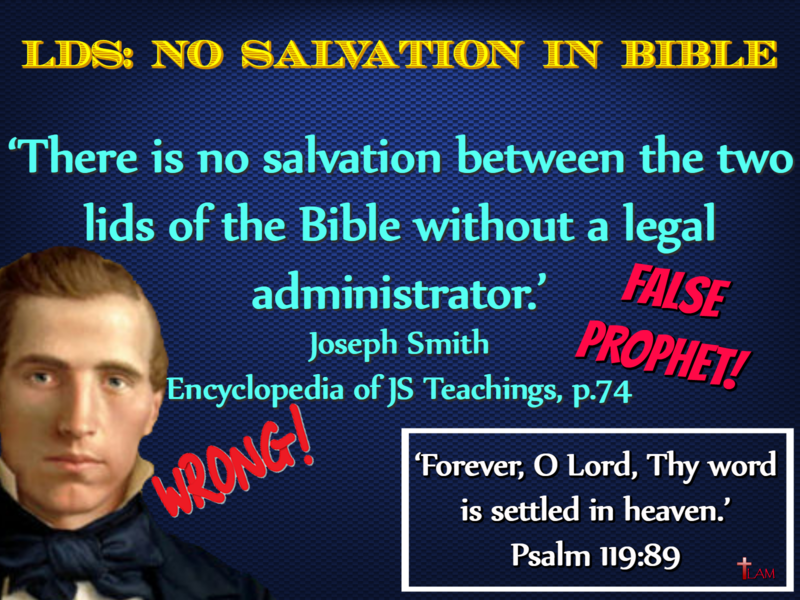 It’s evident that Smith’s doctrines exhibited a total disregard for the Lord and have no place in the life of a true Christian. Most unfortunately, the Church still uses his books in their curriculum today. Please, pray for Mormons to come out of the darkness of Smith’s lies and turn to Christ Jesus!